Use your windows to promote your brand! Here at Filmcote we offer stylish, printed decorative film! Decorative window film from Filmcote can be printed, cut or even altered to display your company’s logo so that consumers can immediately recognise your buildings premises or promotional aim. Additionally we can print colour images onto clear window film for a more striking approach – Either way, we here at Filmcote, our expert team will work with you to create something that outstands and looks great on your windows. Filmcotes decorative window film is ideal for any business wanting to promote their branding on windows. 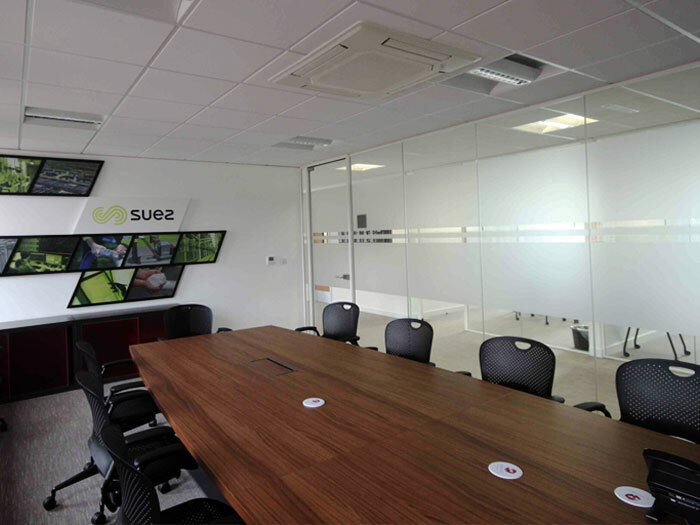 Our decorative film allows you to stand out from the crowd and your competitors with a professional design, cut and installation, our dedicated installation team will ensure your branding is placed on your glazing with minimal fuss. Alongside our standard decorative window film, we also provide Contravison, which is a holed film that has your branding or images on the outside; as seen on buses. This is perfect when you want an apparently solid image on the outside of your glass but still want to see out. Filmcote will be able to personalise the window film for your business needs – whatever they may be. If you would like more information or would want to discuss about our decorative window films, contact us today. With many companies offering decorative window film UK wide, here at Filmcote we like to offer our customers specialist services in nearby areas to Bristol including Bath, Swindon, Avon, Somerset, Taunton, Wiltshire and Gloucestershire. Knowing we get in right without no hiccups, our team are always just a short distance away to assist you on your decorative window film requirements. Call us today on 0800 096 0707 to discuss a project you may have.